Friends of Clayoquot Sound (FOCS) was established as a non-profit society in Tofino, British Columbia, Canada in 1979. Our mission is to be peaceful, courageous advocates in protecting the ancient temperate rainforest, ocean, rivers and biodiversity of Clayoquot Sound. We are a grassroots environmental group. The efforts of our tiny paid staff are amplified by the work of volunteers. 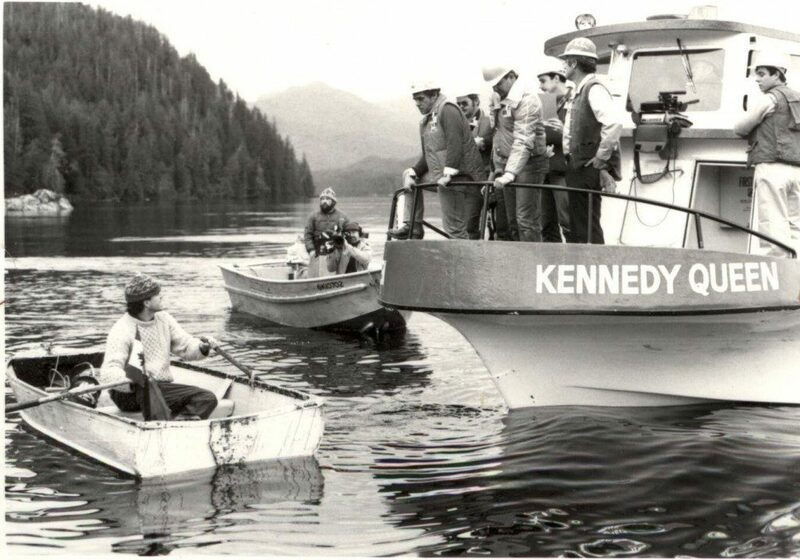 In the early 1980s we focussed on working with Tla-o-qui-aht First Nations to protect Meares Island in their traditional territory. 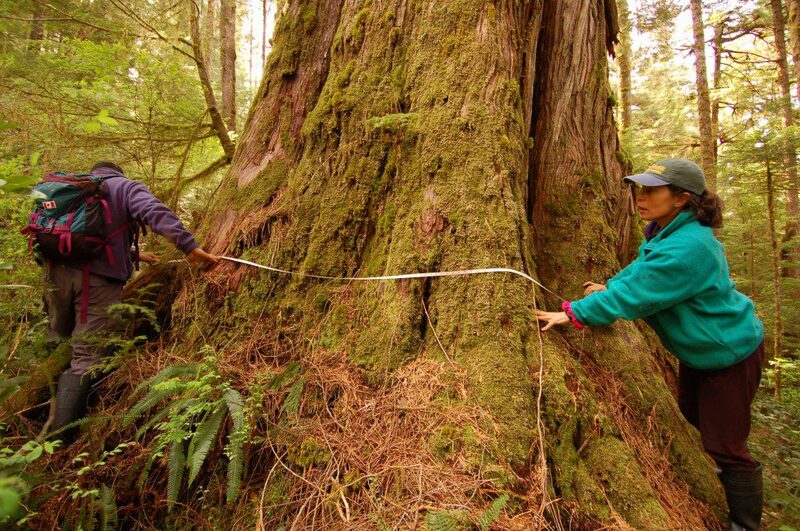 This was the first time Canadians had blockaded loggers to prevent an ancient forest from being cut. The campaign received national attention and culminated in the Meares Island Tribal Park Declaration by the Tla-o-qui-aht. They were successful in getting a court injunction which to this day prevents development on Meares Island until the question of who owns the land (British Columbia has no treaty with Tla-o-qui-aht First Nations) is settled. The late 1980s were a time of burgeoning ecological awareness. In that global context, FOCS expanded its goal, from protecting Meares Island to protection of all of Clayoquot Sound. 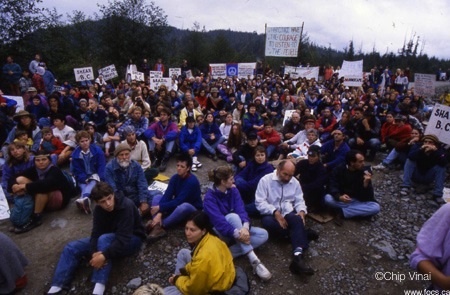 A series of logging blockades ensued, culminating in the mass protests of Clayoquot Summer 1993. In the iconic act of civil disobedience in Canadian history, 12,000 people attended our Peace Camp, and 856 people were arrested for peacefully blocking the road. This succeeded in drawing international attention, making protection of temperate rainforests a global priority. Much has transpired since 1993, including a lot of logging of ancient rainforests, but no company has yet begun logging the intact valleys. Check out our Campaigns page. Volunteer with Friends of Clayoquot Sound.